We provide 16 places for people aged 55 years and over who may be housebound, lonely or just in need of some company. K@Boom our Out-of-School Club runs a before and after school club and holiday club. Hopscotch Pre-School for 2-5 year olds is open Monday - Friday (term time) from 9.30 a.m.-2.30 p.m.
St Francis Youth & Community Centre is a registered charity and has been a focal point at the heart of the Bournville community for over 40 years. It provides a safe and accessible Centre that helps improve the leisure, recreation, personal development, skills and education opportunities available in the neighbourhood benefitting local people, including: children, parents, young people, older adults and carers. K@boom Out of School Club provides wrap around care for primary age children before and after school during term time; K@boom Holiday Club offers care to primary age children during the school holidays. Hopscotch Pre-School is an independent nursery that runs during term time for little people from 2 years old. BYC (Bournville Youth Club) has its home at St Francis Youth & Community Centre providing a safe place where young people from age 9 years and above can meet, socialise and have fun together. Community coffee mornings, regular weekly leisure courses, arts and craft courses, health, well-being and lifestyle courses, summer courses, family fun days and festivals, family learning, taster sessions and drop in sessions. 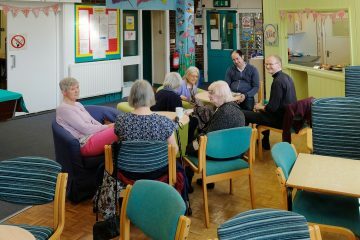 We have a Lunch Club for older adults, where transport can be provided to and from their home and they can socialise in a friendly environment, enjoy a hot meal and take part in a range of activities. 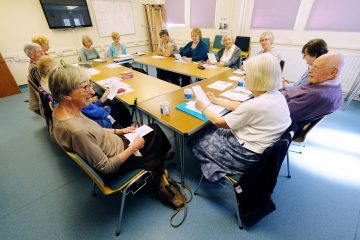 The Lunch Club helps to reduce loneliness and isolation and encourages older adults to be independent. St Francis Youth & Community Centre provides a friendly, informal learning environment, we work with partner organisations such as schools, libraries, children’s centres, independent tutors, volunteers and voluntary organisations to deliver a range of learning opportunities and to attract a wide range of different learners. We aim to meet the needs of learners of all ages with provision for under-fives through to opportunities for older adults. 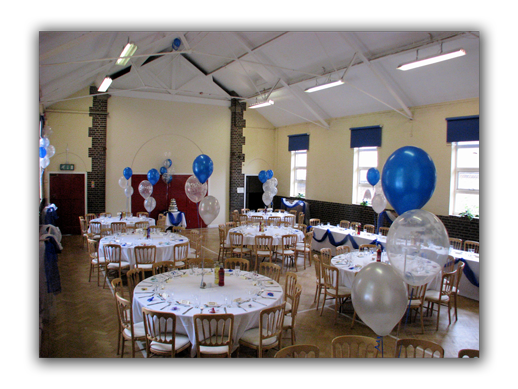 The community centre is available for private hire all year, daytime, evenings and weekends except during the Christmas close down period. Contact us for more information and to enquire about availability and room hire fees.